Imagic Solution Provide easy to operate, user friendly liquid filling machines are useful for different types of glass bottle, plastic and metal containers to fill the various liquids and other things. Offered range of machines also in various industries. 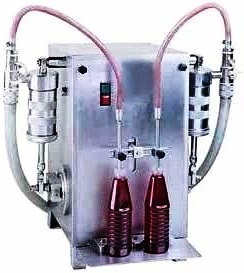 Semi Automatic liquid filler with filling range from 5 ml to 1000 ml. Accuracy +/- 1% in single doze. Filling head/syringes : 2 Head, 4 Head, 6 Head. Output: fills / Hour : 1200 to 3000, 2400 to 6000, 3600 to 9000.